The main part of the jacket is mostly done. I have to fiddle with the fit and pleating, and do some top-stitching. 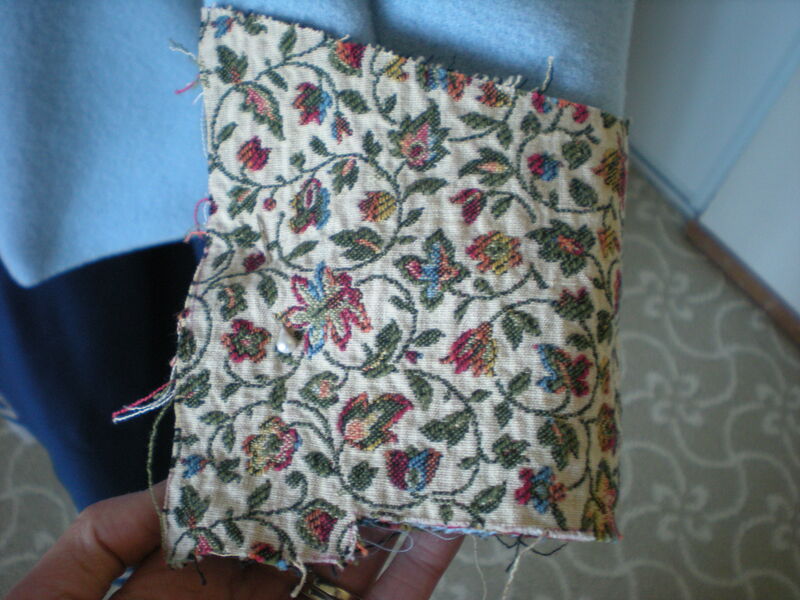 I originally planned to use the multi-color fabric for the vest only, but I pinned a scrap to the sleeve to see how it would look as a cuff and I rather like it. I plan to use the same stuff for the collar as well. 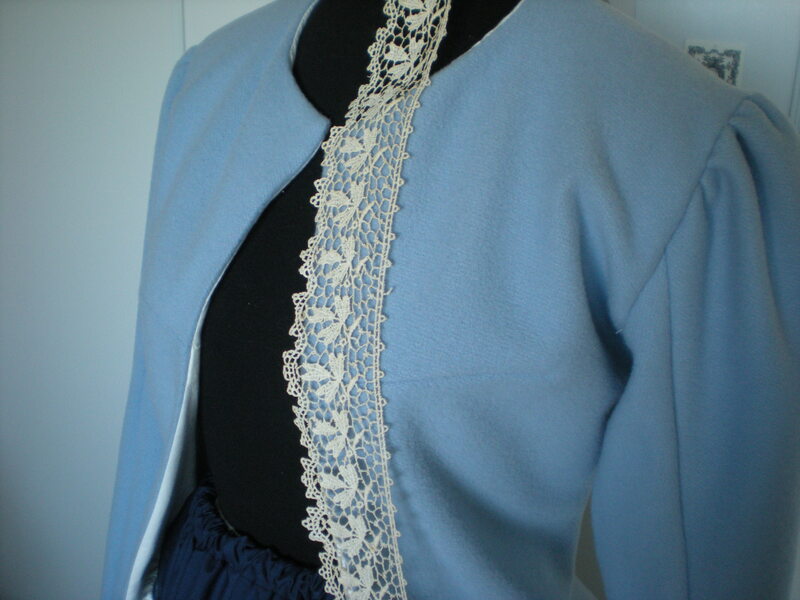 I found some forgotten lace in my stash that is the same beige color as the background of the jacquard, so I may put it along the front of the jacket. 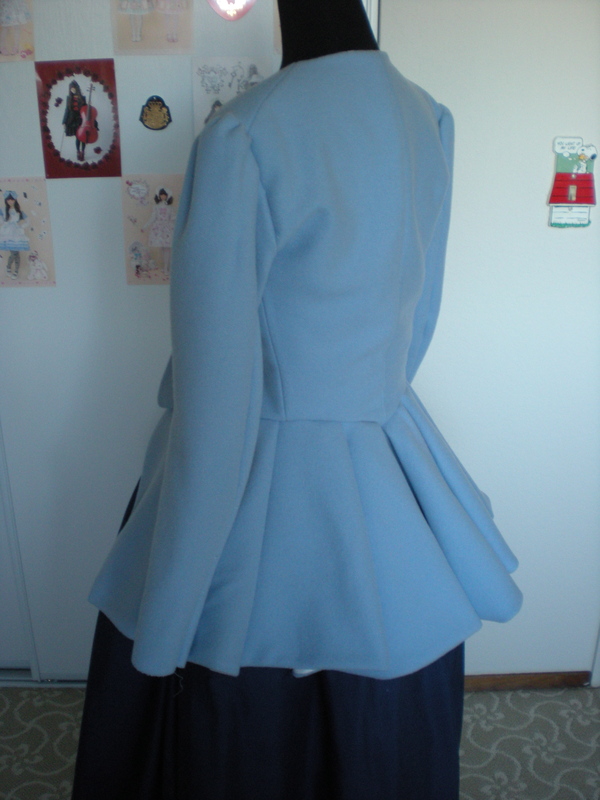 Alas, there is not enough to go all around the bottom of the peplum. Next step: Drafting and cutting the pieces for the false vest.